Building on Auburn University's mission to serve the citizens of Alabama and beyond, the Office of Professional and Continuing Education's online programs offer a variety of non-credit workforce and professional development training opportunities that will enable participants to meet the challenges of a rapidly changing and highly competitive global economy. The goal of these programs is to increase access to higher education by facilitating the creation and implementation of high quality, interactive, non-credit courses and certificate programs. All of the courses offered through the Office of Professional and Continuing Education's online programs are available to anyone, regardless of background or career path. Participants will find these programs to be convenient because they are available any time and are accessible from anywhere. Once you have completed a program, you will receive a certificate of completion from Auburn University. We are adding new programs all the time! Please call if you do not see the program you are looking for! Please email opce@auburn.edu or call 334-844-5100 for more information. To browse our existing offerings, please click one of the links below. NEW! At Ed4Online, each course is designed by top level curriculum designers structured in a user friendly and logical format. All courses are accessible from one website with one login. Our courses are available anytime, anywhere from any mobile device, as long as you have access to the internet. The courses are self-paced and incorporate a variety of learning methods to support you on your educational journey. Whether you are looking to start a new career or advance in your current occupation, we offer online training courses designed to provide you the skills needed to be successful in your chosen profession. The Center for Legal Studies (CLS) was founded in 1980, and offers legal studies courses in conjunction with Auburn University in the following formats: live lecture, online, DVD, and text-only. The curriculum is updated by CLS to remain current and on-pace with the newest trends in the legal industry. Recognizing the state-of-the-art technology and ease of use, online courses created by CLS were awarded top honors by Thomson West Publishing International. Interpretation Certification: We offer the finest online training programs in Interpretation and Translation in the country. Our online programs have been voted the best in the country by employers and academia alike. These online programs are for students who are fully bilingual in Spanish and English, and are interested in becoming State, Federal Court, and/or Medical Interpreters. Interpreting is in high demand and it is a growing profession. All our graduates who complete any of our programs with a GPA of 3.5 or better are included in a database available to over 400 interpreting agencies in the United States. These programs are suitable for vocational or workforce training, as well as those who are pursuing a new career. Ed2Go offers a wide range of highly interactive courses that you can take entirely over the Internet. Ed2Go courses begin monthly and are completed in six weeks. Since 1993, Health Ed Today has been offering innovative healthcare training and education programs in partnership with hospitals, employments agencies, the military, and college and universities nationwide. With over 300 partnerships operating in 40 states, Health Ed Today offers a wide range of courses including Medical Billing & Coding, Hospital Coding, Phlebotomy, Pharmacy Technician, EKG Technician, and other leading healthcare courses. Career Web School offers online real estate, appraisal and home inspection courses. Perfect for business professionals looking to get into, maintain, or keep up-to-date with the real estate industry. The length of courses offered by Career Web School varies by individual course, please check the course description to determine how long the course will take to complete. Employment of technical writers is expected to grow faster than the average for all occupations as the need to explain a growing number of electronic and scientific products increases. Job prospects are expected to be good for those with solid writing and communications skills and a technical background. To meet the need for skilled technical writers, OPCE has partnered with JER Online to offer three levels of technical writing training; Basic, Professional, and Mastery. For complete course descriptions of the online technical writing courses offered, please visit our Technical Writing Certificate catalog. JER Online lists over 1000+, cost affordable, non-credit Continuing Workforce Courses and Certificates. Start anytime or on a fixed time schedule and access your course anytime from anywhere for fast completion. As an extra added value and bonus, students will have 1 year access to their online courses, post course completion (applies to self-directed corporate developed courses only). All of Career Step's career training programs are designed to provide the practical experience students need in order to quickly obtain successful employment upon graduation. Advisors help graduates turn their education into a job by providing resume reviews, interview tutorials, job search tips, and additional valuable resources after graduation. 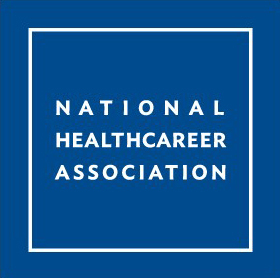 The National Healthcareer Association (NHA) is the nation’s largest health career certification provider. NHA is a company within Ascend Learning, a leader in providing technology-based educational, assessment, testing and certification solutions for healthcare and other vocational fields. Over the last 25 years, NHA has certified more than 500,000 allied health professionals working directly with schools and employers to achieve their certification goals. Today, there's more demand than ever for highly skilled frontline practitioners. NHA is meeting that demand by offering exams accredited by The National Commission for Certifying Agencies (NCCA). It is our belief that together, NHA, schools and educators, providers and allied health practitioners can transform healthcare through education, training and certification, with the goal of consistently improving patient outcomes. Certification in these fields demonstrates to employers that students have gained the necessary competencies and skills to be successful on the job. Should you have any questions about the certifications listed above, please don’t hesitate to reach out to me at your convenience.